A perfect day! Congratulations to Anthony of Princess Anne Distributing and crew! A beautiful fun day!! Caught a grand slam, saw another grand slam and caught a nice load of dolphin!! Exciting day!! Pretty work Pelican crew!! Tuesday, Wednesday and Thursday are available! Congratulations to Dave Powers who caught his first grand slam today! A day full of action with a triple and four doubles keeping the rest of the crew busy!! After waiting several days for the seas to calm, it was a real treat to see all the action the Pelican experienced today. Great work to our crew today! I just received a report from a reliable satellite source that the Pelican is having an INCREDIBLE DAY!! I will have the OFFICIAL report when I hear from him in a few hours! So exciting!!! Check back for the official numbers!!! 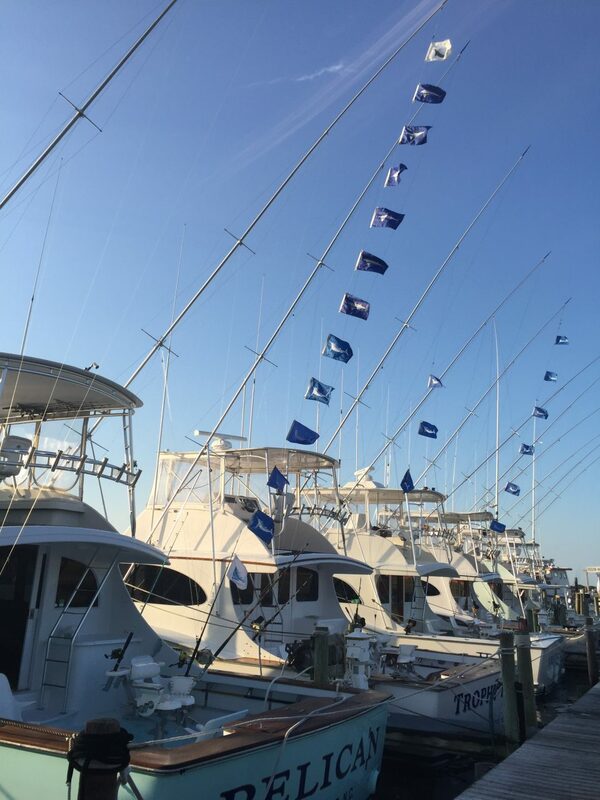 A Blue Marlin, 5 Whites, A Sailfish! GRAND SLAM!! A great day of action for the Pelican crew today! We started out with a Blue Marlin bite five minutes after we set out this morning and the fun just continued throughout the day! Great weather, great fishing and a lot of action made for a day we all look forward to. Congratulations to Rob Kurz and his fellow anglers on their first Grand Slam, we’re excited to have been part of such a memorable accomplishment. Nice work!! https://www.fishthepelican.com/wp-content/uploads/img_4372.jpg 1280 960 Summer Bracher https://www.fishthepelican.com/wp-content/uploads/2018/11/pelicanlogo-circular-3-300x300.png Summer Bracher2016-08-20 20:44:042016-08-20 20:44:04A Blue Marlin, 5 Whites, A Sailfish! GRAND SLAM! !